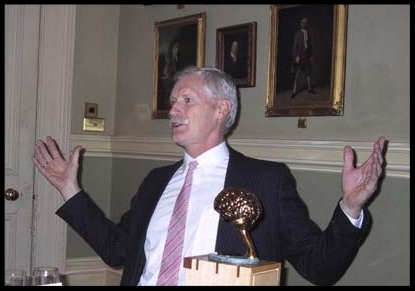 Each year the Minerva Foundation awards a Golden Brain to an investigator at the forefront of research for significant findings of vision and the brain. 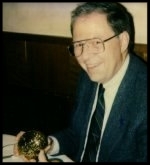 The list of Golden Brain Award recipients spans several decades. The winner of the award is based on nominations to the board from previous awardees. Ken Nakayama has made groundbreaking discoveries about the representation of surfaces using psychophysical tests in human subjects. Eero Simoncelli uses theories of coding efficiency and statistical inference to understand the means by which percepts arise from neural responses. 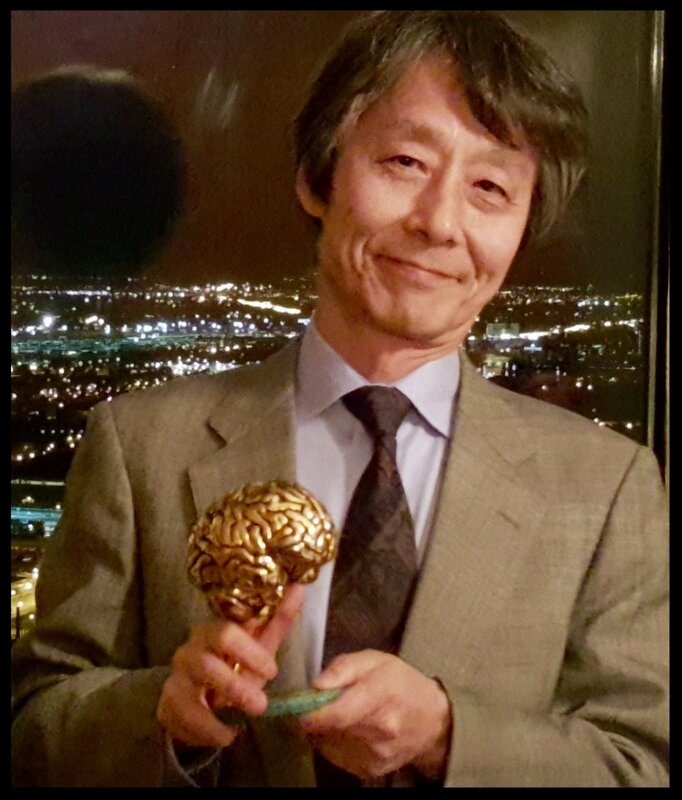 Okihide Hikosaka conducts pioneering work to shed light on how the brain allows us to make decisions based on the expected outcome of our actions. Doris Tsao’s research has revealed important insights into face recognition in both monkeys and humans. Joseph Anthony Movshon predicted and discovered the existence of neurons in the brain that enable global motion perception. Michael Shadlen pioneered the study of the neural basis of decision-making. Leslie Ungerleider and her collaborators traced which parts of the brain are used in making sense of all that we see in the world around us. Daniel Wolpert examines computational models that allow scientists to describe and predict how the brain solves problems related to action. Karl Deisseroth created a novel way of studying neural circuits that shows potential as a treatment for brain disorders. Larry Young showed for the first time that differences in complex social behavior are the result of genetic variation. Nancy Kanwisher’s research demonstrated the remarkable specificity of the parts of the brain activated during facial perception and in response to visually present words. Raymond Joseph Dolan studies the effects of emotion on memory, learning and decision-making and the brain chemistry underlying these processes. Markus Meister Meister’s research has revealed surprising ways that sensory organs, specifically the retina, are organizing and coding information before sending it to the brain. Atsushi Iriki and his colleagues showed that brain cells respond in the same way to the image of the body in a video monitor during tool use, coding this image as an extension of the self. Karl Friston developed a mathematical method that makes it possible to determine what parts of the brain are actively engaged when humans undertake tasks such as hearing, seeing colors, or looking at faces. Wolfram Schultz studies the neurons in the brain that process information about physical and psychological rewards. David Perrett’s work demonstrates how cells in the temporal cortex--the primary place for visual memory in the brain—process information about the face. Frederick Miles has pioneered work that has illuminated how the eyes and the brain work together to steady our view as we move. Nikos Logothetis' work suggests that the neurons interpreting what we see are distributed over the entire visual pathway. Heinz Wassle's research provides evidence that the retina contains different sets of neurons that process brightness, contrast, color, and movement simultaneously. Claudio Galletti is being honored for discovering two mechanisms in the brain that enables us to have a stable perception of our visual environment and one that links vision and reaching. Anne Treisman showed that the human brain absorbs and retains images we are not aware of having seen and other pioneering work exploring visual attention perception, and memory. Antonio R. Damasio is known for his groundbreaking work on the brain basis of rationality and decision-making. Dr. Robert Desimone's research contributes to our understanding of various neural mechanisms such as color constancy and figure-ground separation. Rudiger von der Heydt’s research deals with a phenomenon called illusory contours - in which the brain fills in the outline of an object, even though there are genuine gaps in that outline. William T. Newsome's research demonstrates that certain brain cells are intimately linked to the process of visual perception. Dr. Robert H. Wurtz’s research suggests that certain "very smart neurons" in the brain guide us in moving through the environment, helping us especially with depth perception. Jeremy Nathans was the first to isolate the genes responsible for color vision in work done at Stanford University. Professor Denis Baylor has isolated how individual cells in the retina of the eye convert light into electrochemical signals that the brain uses to create visual images. David Sparks’ research demonstrates that there are at least three separate maps set up in a part of the brain for the visual scene. Gian F. Poggio has discovered how the brain perceives three-dimensional space from the nerve impulses it receives from both eyes. Semir Zeki discovered the specialized functions of certain areas in the cerebral cortex, which is responsible for vision in the brain.